With the Dunlop Precision Pro 130 it is easy to play accurate shots. From the whole Precision series by Dunlop, this is the racket that provides the most control. Because of the conventional racket head with a bridge, the spaces between the strings are very small and the feel that you have over each shot is optimal. 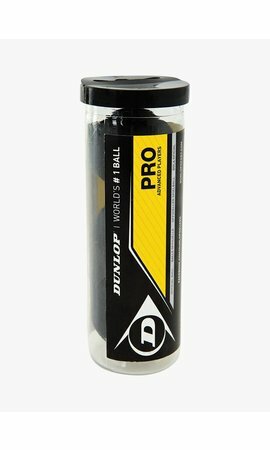 Because the most weight is in the bottom of the frame, the Dunlop Precision Pro 130 is exceptionally manoeuvrable. The racket is designed to meet the requirements of today's fast playing style: it allows you to hit the ball early or to hold your shot till the very last moment and then just flick the ball and send your opponent to wrong direction. The Dunlop Precision Pro 130 weighs only 130 grams and feels very light. The racket head is relatively small and has a surface area of 470 cm2. In order to get the most out of this excellent racket you therefore need to have a good technique. The sweet spot of the Dunlop Precision Pro 130 is small and requires its user to have a high level of precision. New advanced technologies are brought together in Dunlop Precision Pro 130. Dunlop has added Hyperfibre+ material at two places in the top of the racket to increase the stability of the frame. In multiple directions, ballistic fibres are woven to better absorb torsion forces acting on the racket. During a shot, the racket blade is more stable and you can steer the ball easily. To reduce the air resistance of the Dunlop Precision Pro 130, on the outside of the frame there is a special layer that is inspired by the shark skin. 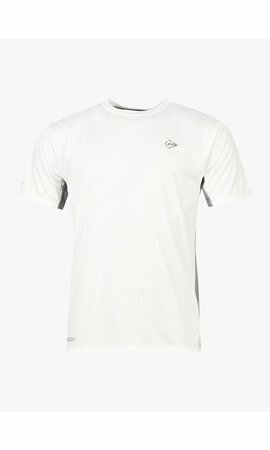 This ridge structure allows you to generate more racket acceleration during the swing. Yet another new technology applied to the Dunlop Precision Pro 130 is Glide Polymer: Dunlop has renewed the composition of the bumper strip so that the strings experience less friction. This allows the strings to move more freely which results in more power. 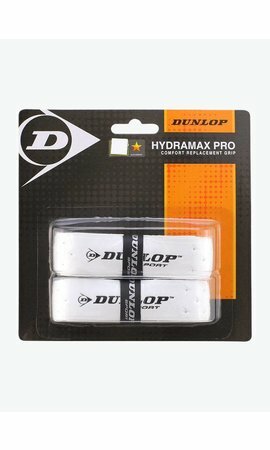 The Hydramax Pro grip keeps the Dunlop Precision Pro 130 firmly in your hand. This grip drains moisture well and keeps your hand dry throughout the game. The Dunlop Precision Pro 130 comes with a full-size, lined cover where you can store your racket safely after use. On the cover there is also a handy shoulder strap with which you can transport your Dunlop Precision Pro 130 comfortably.